Living Life Intentionally is currently offering a Free Polar Express MEGA Printable Pack. This set is 53 pages for Tots, Preschool, Kindergarten, and First Grade levels. 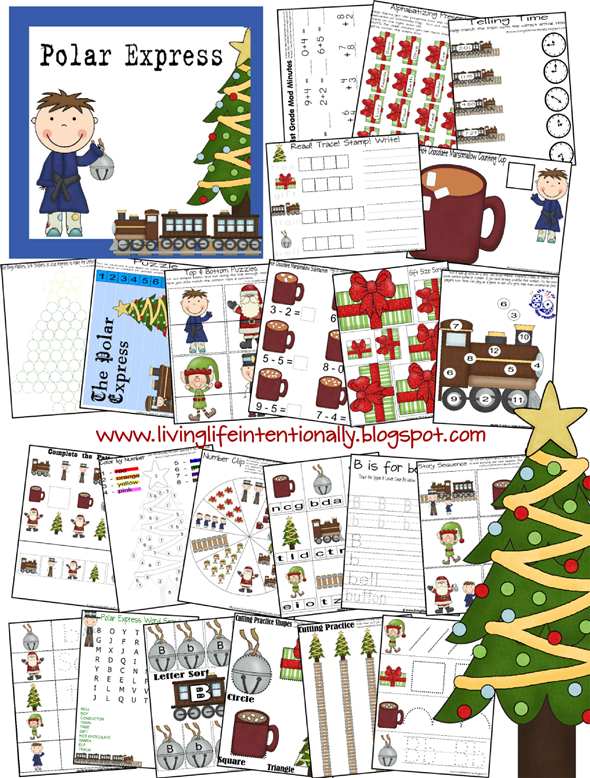 Here are additional Polar Express free printables and a free unit study.